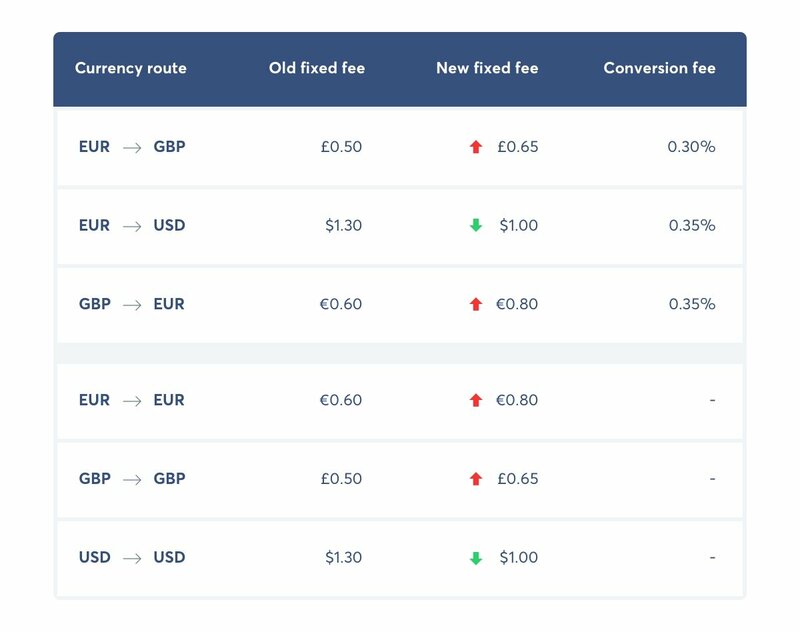 TransferWise just announced that fees are changing to transfer money from your multicurrency borderless account. From December 1, 2018 they are changing the fixed fees for transferring money out of a borderless account, and into another bank account. This small, flat fee varies by currency. If you’re transferring money with a currency conversion, their low conversion fees still apply as normal. Check out the new fees for their most popular currencies in the table above. You’ll find the full list of fixed fees on their website. Why has this fee changed? TransferWise are always keeping their prices as close to their costs as possible. In this case their costs have changed so they need to adjust pricing. As usual, they’re working hard to reduce their fees whenever possible, and hope to be able to reduce these fees in the near future.